"I, Trêve, open my fan club. A groundbreaking conceptâ€¦that you'll love to follow ! The more you interact with #FollowTreve, the more you help me accomplish my feat ! 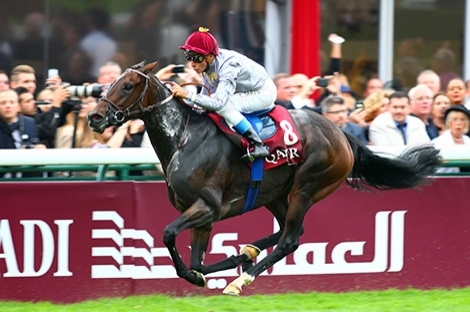 Find me on www.followtreve.com"
Is is now possible to follow the talented Double Arc winner Trêve on the social networks. When she gets 30,000 likes, shares, tweets, the Quesnay bred daughter of MOTIVATOR will reveals herself to you. A nomination to RECOLETOS to win during the week-end of Route des Etalons! The 2019 brochure is online! Recoletos retired to Quesnay in 2019!